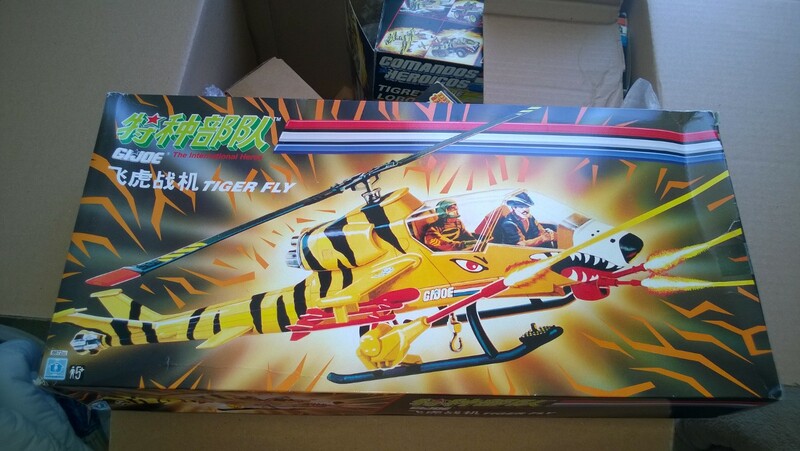 Chinese Tiger Fly and Chinese Tiger Sting! I never knew either of these existed until a month ago. I got a picture of them sent to me and knew I had to have them. Both of these come from one of my two (possibly a 3rd) hauls from Aire. 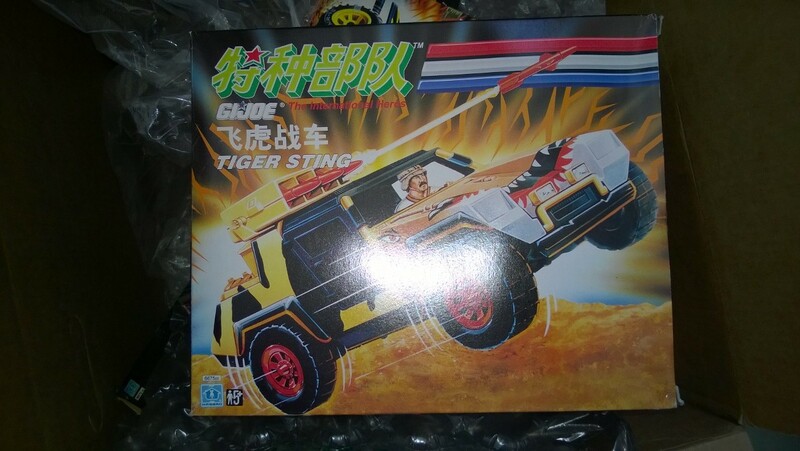 I really like the minimalist design to the Chinese boxes (at least the early figures and vehicles released in China); it really allows the art to stand out. Also check out the side of the Tiger Fly box which advertises the Sting, HISS 2, and Desert Fox. I have found and purchased a Desert Fox MIB – it is on its way from China right now. I am still looking for a Chinese HISS 2, if anyone out there has one – let me know. Enjoy! 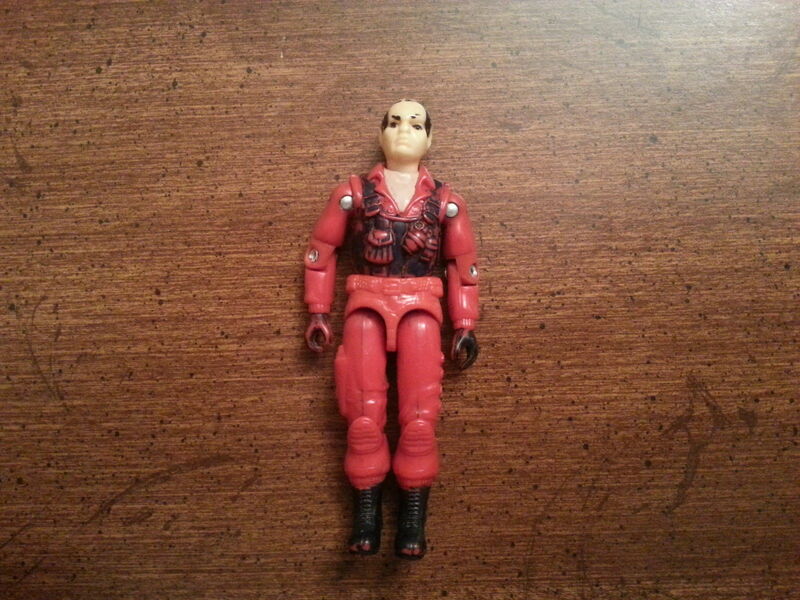 Categories: Uncategorized | Tags: China, Chinese GI Joe, Cobra, G.I. 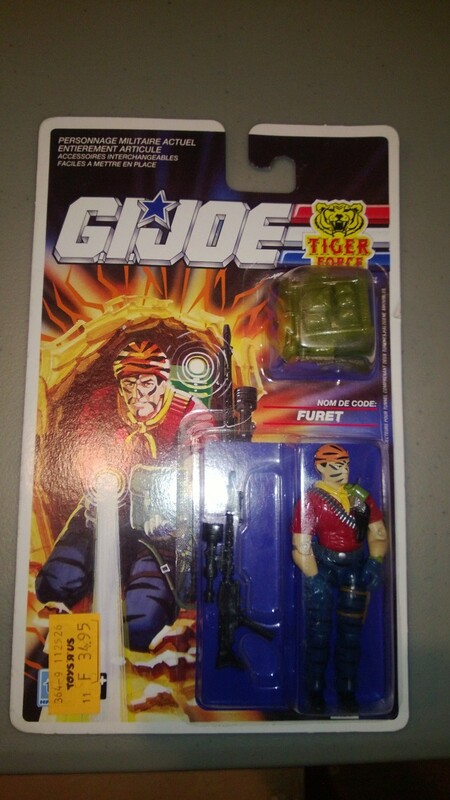 Joe, GI Joe, International Joes, Tiger Fly, Tiger Force, Tiger Sting | Permalink. After a LOOOONG Break, New Joes! Searching for rare international figures and vehicles can be a labor of love and a grind. In addition, you will almost certainly come across someone who will eventually try and take the money and run…. A few months ago, I came across a score too good to pass up – Venezuelan vehicles. Some of the hardest Joe stuff to find on the planet. I thought I knew the seller and I thought he had a great reputation, but it turns out he tried to take my money. Luckily, I got mine back, thank God for Paypal Buyer Protection, but I know others are still waiting to hear back from this guy. With that unfortunate incident, I was feeling down on Joe and took a break from searching. JoeCon was a refreshing experience and getting to meet so many people in person refueled by passion for GI Joe. At the Declassified booth, I came across a fun international variant that I hadn’t seen before; the European Devastator. It is molded in grey instead of off-white and the maroon pieces are molded in a bright red. It is a great piece that is fortunate to be rare and relatively inexpensive. On eBay UK there are two up for auction right now, however, both have broken antennas. I almost bought one of those because five euros is a great deal; but I really wanted an unbroken, mint piece. 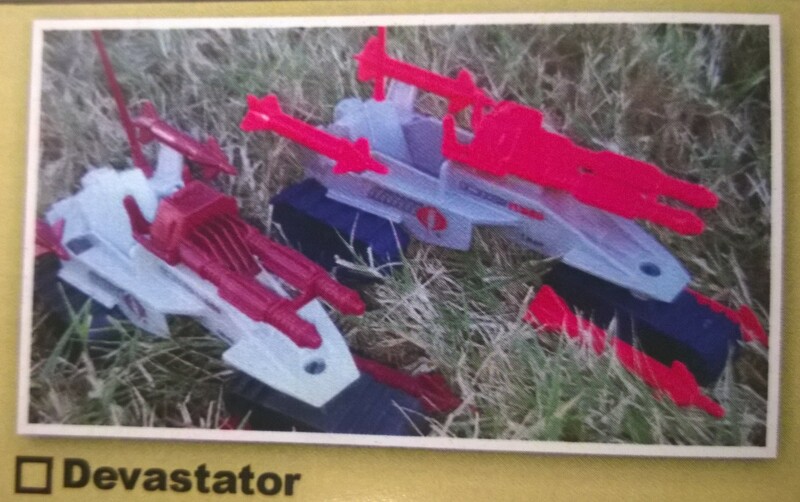 So I made a few more searches and came across a MIB Euro Devastator! It was a great find for only $50! Categories: Uncategorized | Tags: Cobra, Devastator, G.I. 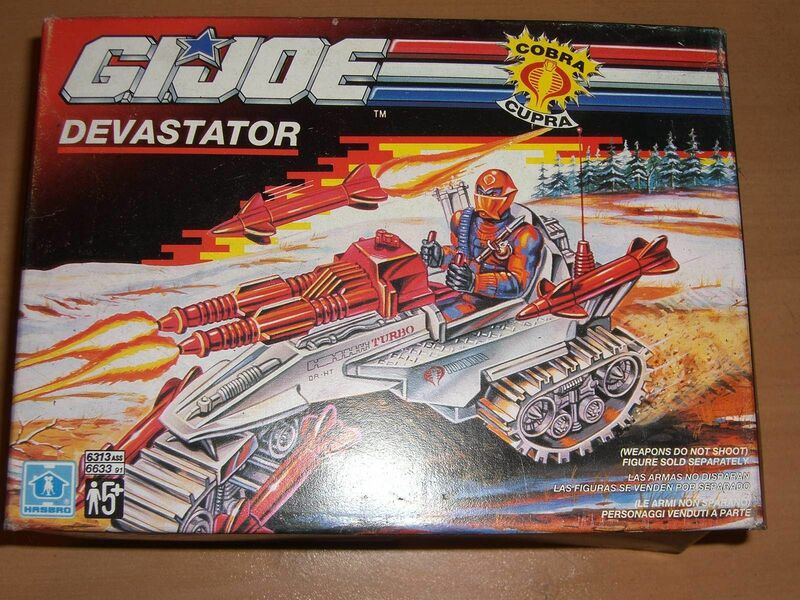 Joe, GI Joe, Hasbro, International Joes, Joe Declassified | Permalink. First off, I am not trying to piss anyone off or ruffle feathers, but I am sure they will get ruffed. 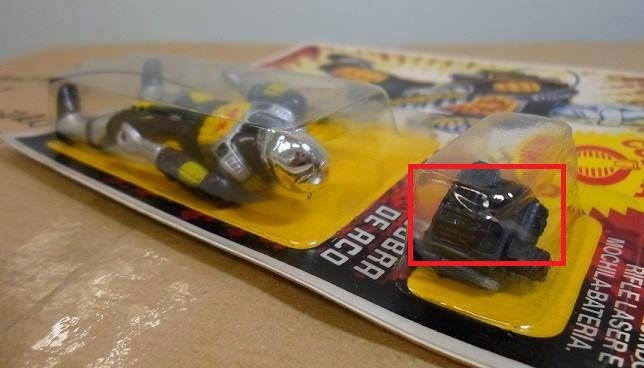 There was an interesting thread on Hisstank last week that questioned the legitimacy of the MOC Cobra De Aco Unpunched on eBay. Immediately, several well known people in the community came to the defense of the seller as he himself is well known. I too am inclined to believe the seller. However, rather than blow off the OP’s comments, I took a look for myself. What is VERY interesting is the unique similarities in the MOC De Aco that is on eBay with another MOC De Aco that was supposedly sold by the same seller. I will post what I find intriguing about the two cards and I would like to open it up for discussion. First, the punch itself appears to be a brighter white than the rest of the card. Second, on the back of the punch, the hairline does not match up with the rest of the card (I could not find another unpunched Brazilian card to see if none of the hairlines match up). Third, both figures are in a very similar and unique position; both are bent over. Fourth, underneath the green tag there is a white tag (it is straight and rectangular, and not part of the green and rounded tag). Comparing the “unpunched” version to the “punched” version, the white tag underneath the green tag appears to be in the same location and angle on the card. Fifth, and along with the white tag underneath the green one, I find to very compelling is the same discoloration on the back of the card on the first “o” in Commandos. The discoloration even extends on to the “m” in both the unpunched and punched versions. The discoloration appears to be identical. Sixth, the dent in the upper right corner of the accessory bubble is very similar. The more I look at it, the more I think they are one and the same. I realize this is a touchy subject. However, I would ask everyone to examine the cards for yourself, setting aside preconceived notions, and let me know what you think. Notice the white tag. Its position and alignment is similar to the unpunched version. Same or very similar figure position. HT De Aco. similar bubble crunch in top right corner of accessory bubble. HT De Aco. VERY similar and I would say unique discoloration on the first “o” extending to the “m” on both cards. HT De Aco. Zoom in and you can clearly see a straight and rectangular white tag underneath the green tag. Same/similar figure position. Notice punch is brighter than rest of card. Ebay De Aco. Hairline does not matchup. Same or near identical unique discoloration on first “o” and extending to “m.” Ebay De Aco. similar bubble crunch in accessory bubble. Ebay De Aco. 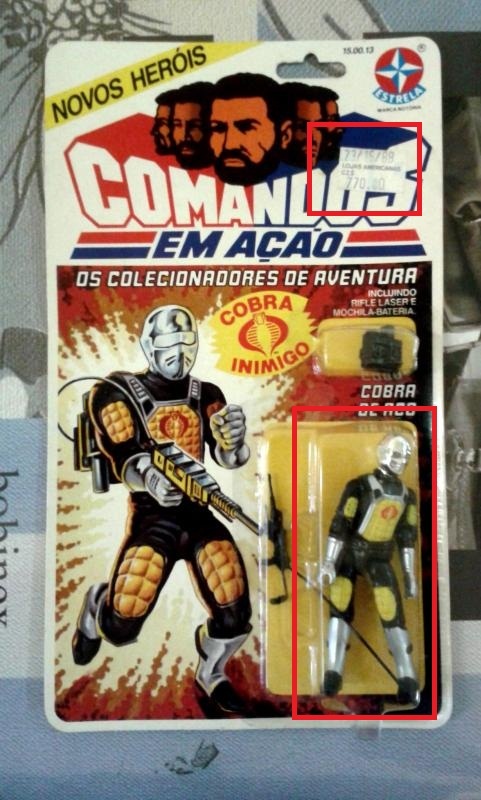 Categories: General Joe Stuff | Tags: Brazil, Cobra, eBay Auctions, Estrela, G.I. Joe, GI Joe, International Joes, Leaky Suit Brigade | Permalink. 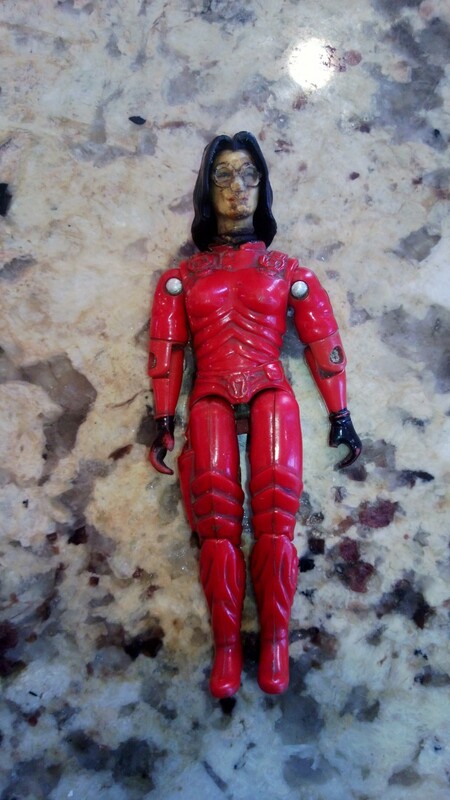 Well last night I took a huge risk and decided it was time to attempt to retore my Rednok (Red Baroness) from the Funskool/Complan Commando Force. 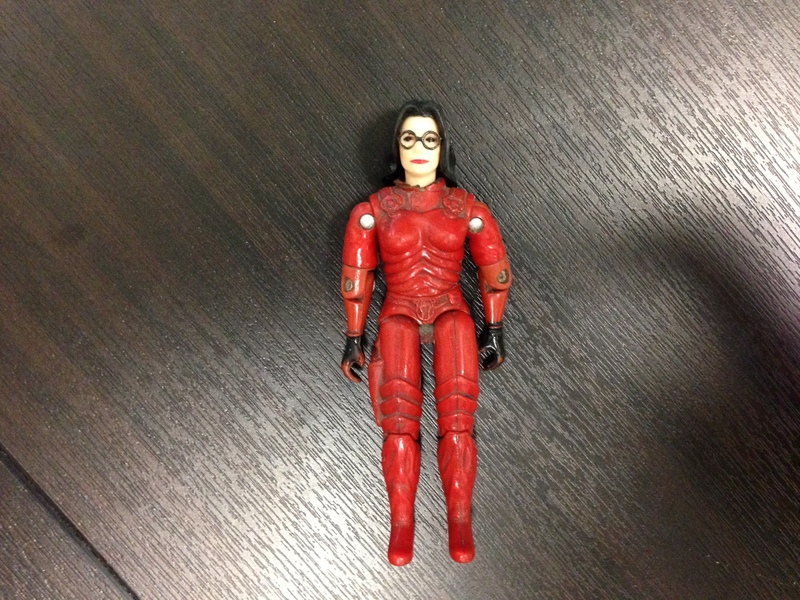 When I first picked up the figure, she looked like she was beat with an ugly stick, so because Rednok and Funskool Baroness have an identical head I found one to swap out with. The first, problem or minor issue was coming to grips with opening up a MOC Funskool Baroness, but I got over that pretty quickly as Rednok is much more rare. The real issue came when I attempted to unscrew the back screw… It was completely rusted out. It just crumbled when I put my precision screwdriver into it. At this point I was stuck between a rock and a hard place. I had an incredibly rare and expensive figure that sooner or later would have an O-ring shape and then I would be left with pieces of an incredibly rare and expensive figure. So, after going back and forth on the issue for awhile I decided to get out my Dremel and drill the screw-head off so I could open up the figure. The nightmare scenario would have been drilling into the screw and pushing it right out her chest, effectively destroying the figure. After deciding I would live with the results I slowly and carefully drilled the screw-head off. Once that was accomplished her body came apart like any normal figure and I too the remaining part of the screw out with some pliers. Then I popped off the old head that had definitely seen better days and put on a mint as can be, fresh off the card head. I think it turned out great and was well worth the gamble. Rednok got the plastic surgery she always wanted and looks like a million bucks now on display! 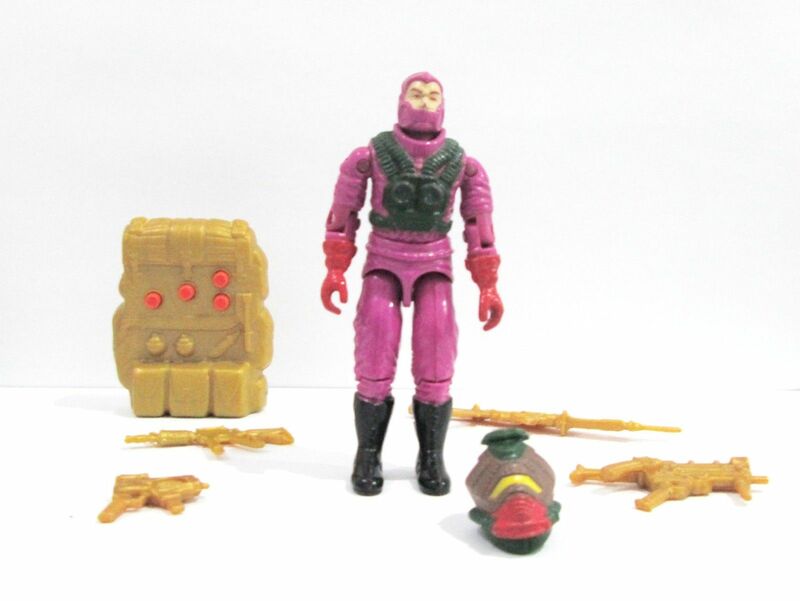 Categories: General Joe Stuff | Tags: Funskool, Holy Grail, International GI Joe, International Joes, Leaky Suit Brigade, Red Baroness, Rednok | Permalink. Posts haven’t been as frequent as there hasn’t been too much going on. I am very late on my xmas gifts (coming soon TM), but those can wait because in the last week, I finally pulled the trigger on one figure that has been available for awhile and also picked up two others that just came on the market. First up, we have the Funskool Commando Force Cross Country. This figure comes from the same set as the Canary Ann and Rednok (Red Baroness) that were giveaways with a Complan chocolate drink in India. I had my eyes on this figure for a while now and the price and timing were perfect to pick this up. All of these are birthday presents to myself; I celebrated my 28th yesterday. Second, is a Funskool Commando Force Striker! It has a broken hand, but I am think about switching it out with a Funskool Gung Ho hand seeing as they are identical. 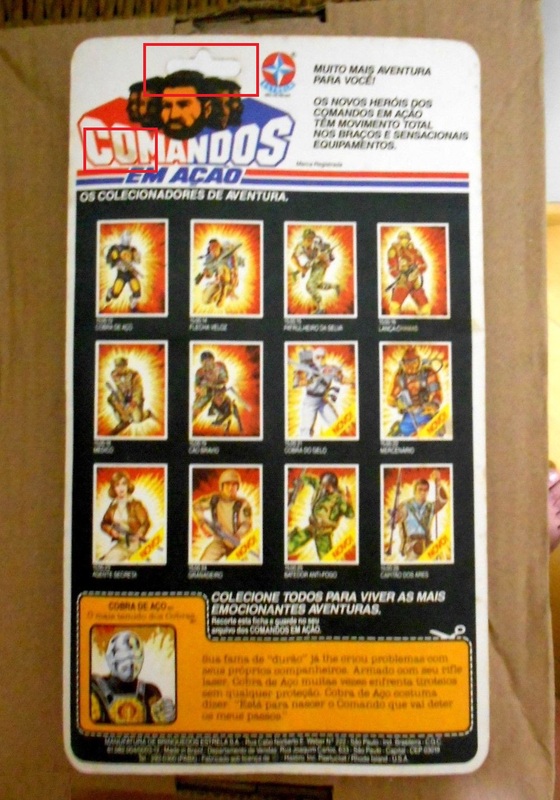 With these picks ups, I only need a Canary Ann (but with only 1 known and a 3K price tag – I may be waiting awhile) and the Firefly/Short Fuze to complete the Commando Force set. So, if any of you out there have the Firefly/Short Fuze, I am interested. But I’d like some time to recover from buying these first! Third, I picked up a mint/complete Brazilian Maligno (aka the Toxo-Viper). This was a must buy for me, I had been looking for one for a long time and this one was in great shape and came with all its accessories including the electronic backpack! 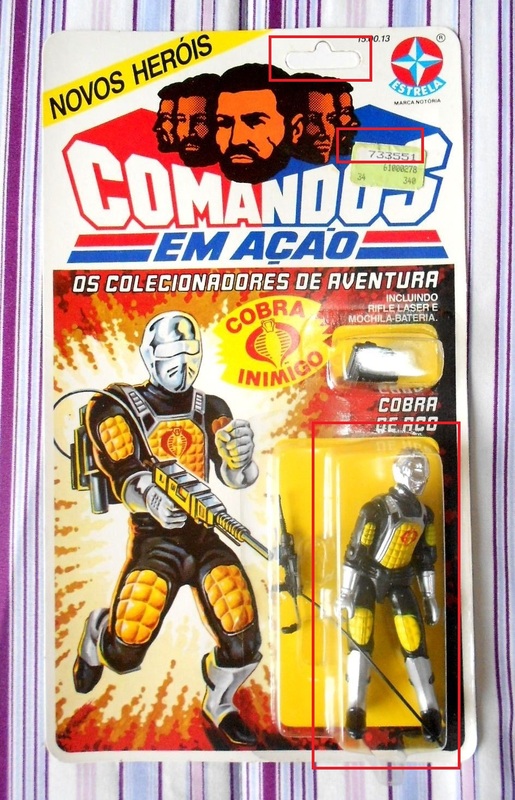 Categories: New Joes | Tags: Brazil, Cobra, Commando Force, Funskool, GI Joe, Holy Grail, International Joes, Leaky Suit Brigade, New Joes | Permalink. After a LONG Break…. NEW JOES! There will be several upcoming posts about new Joe acquisitions! 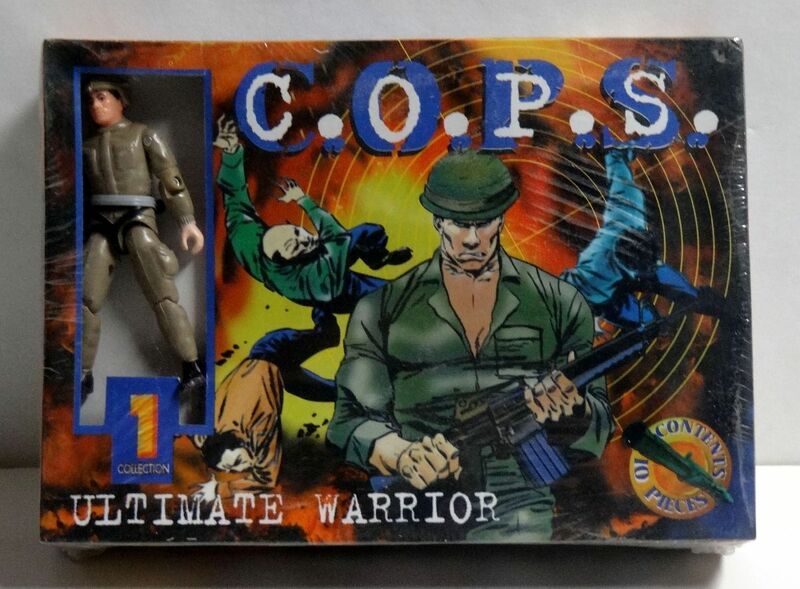 For the first post, we have two items that actually might not be considered GI Joe. 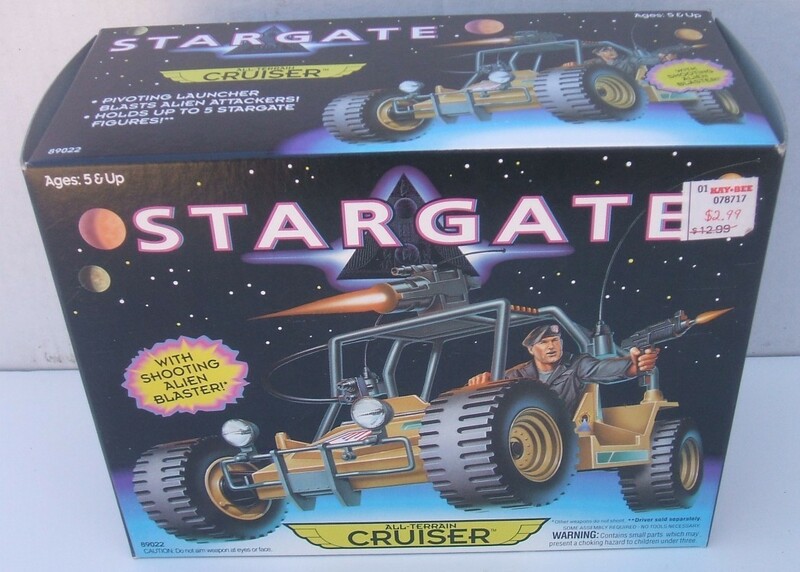 First, we have a Stargate All-Terrain Cruiser. Why did I buy this? Because it used the AWE Striker! I like hunting down and finding “Joe Toys” that aren’t actually Joe like the Bronze Bombers 12-pack and others. This is a perfect example. It is the basic AWE Striker in tan/brown with a rocket launcher on top. Fun and a cheap pick up. I am also trying to track down a couple other interesting non-Joe, Joe items. So hopefully I will have more to post soon. Second, we have an international offering from Argentina. It is a C.O.P.S. 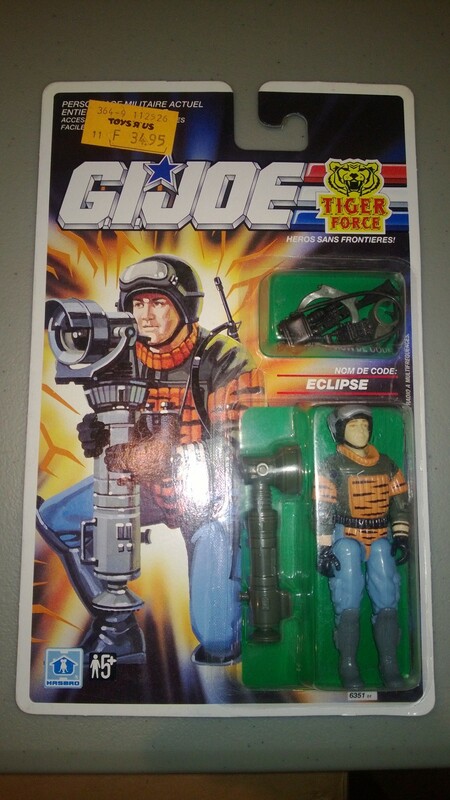 repackage of GI Joe Sorek. 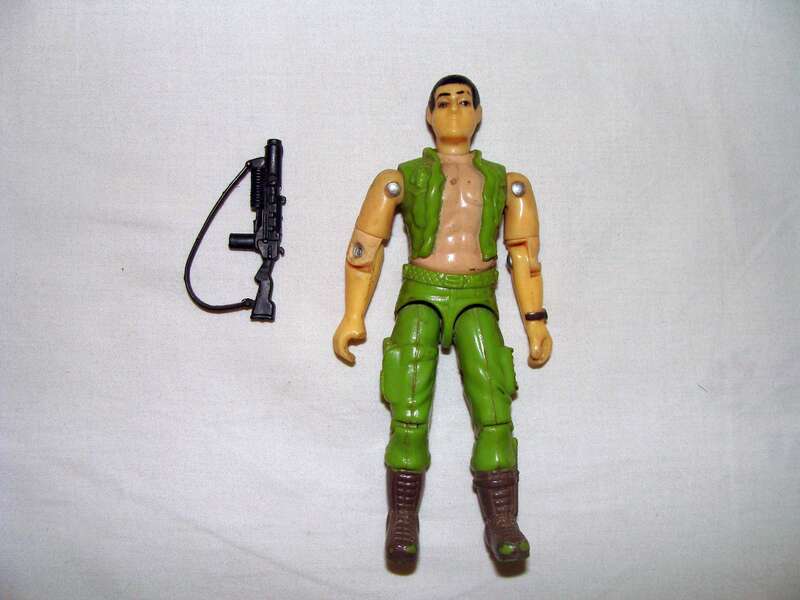 Categories: General Joe Stuff, GI Joe News, New Joes | Tags: Argentina, G.I. Joe, GI Joe, International GI Joe, International Joes, Leaky Suit Brigade, Plastirama | Permalink. sorry for the lack of posts. I’ve been very busy at work. Writing a brief for a case and the record is 180 THOUSAND pages , so a lot of late nights reading this thing. Anyway, back to the Joe stuff! 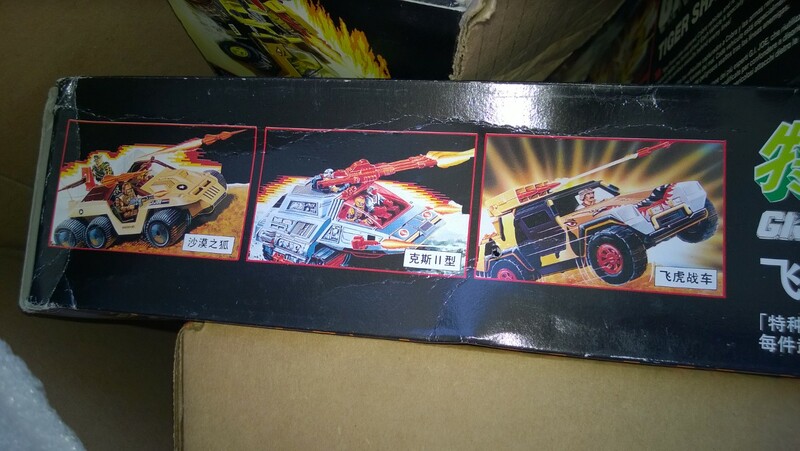 I picked several MOC/MIB Tiger Force items! 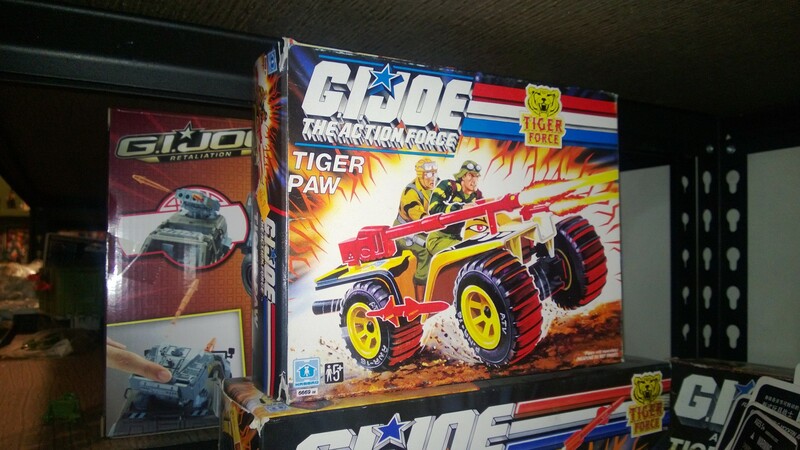 First up is a UK Action Force MIB Tiger Paw. I also snagged a MOC TF Tunnel Rat and Sneak Peek from Europe! The packaging is not in English so they are the UK release (but they are identical). Categories: Uncategorized | Tags: Cobra, G.I. 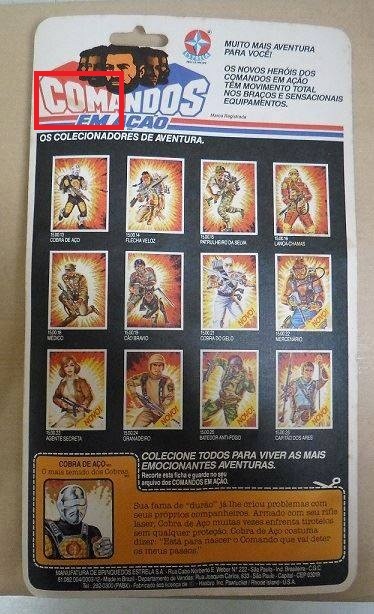 Joe, GI Joe, International Joes, Leaky Suit Brigade, Tiger Force | Permalink.